And this is why Jessica Huang rules everything around me. "Nice pants"? These fools have no idea who they're messing with. "SHUT YOUR MOUTH. NOBODY CARES WHAT YOU HAVE TO SAY" is healthy advice to any obnoxious teenage boy... as well as a large portion of people on the internet. 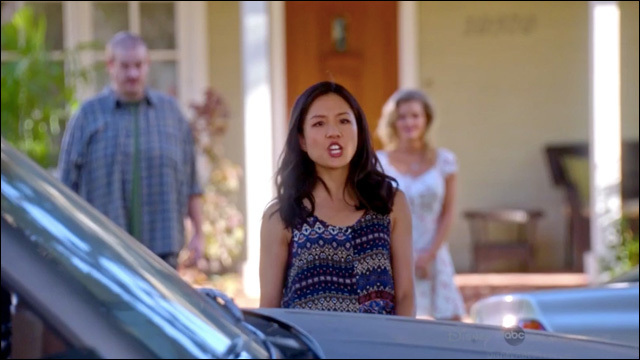 Fresh Off The Boat airs Tuesday at 8:30pm on ABC.